Artists are often at the leading edge of innovation and experimentation with new materials that spur creative development. 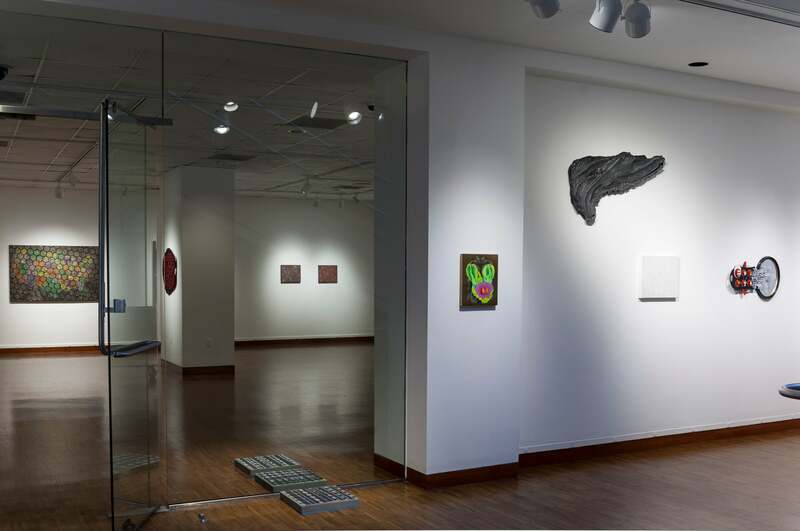 Presented in the Weston Art Gallery’s lower galleries, Synthetica is a group exhibition of artists working in unconventional ways with chemically engineered materials. Working on two-dimensional surfaces with materials as diverse as polyurethane rubber, Plexiglas, synthetic felt, acrylic resin, polystyrene, polypropylene, and cast concrete, the artists in Synthetica explore new applications for these commercial products in constructing their unique visual language. Participating artists include Tyler Bohm (Columbus, OH), Susan Byrnes, Matt Coors, Jeffrey Cortland Jones, Marc Leone, Tim McMichael, Paige Williams (all Cincinnati, OH), and Bruce Riley (Chicago, IL). 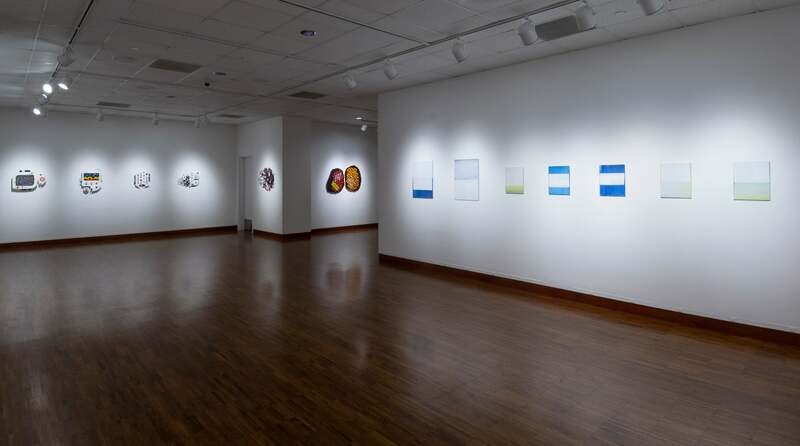 Tyler Bohm is a mixed-media artist who spent several years working in the architectural industry where he adopted the tools and techniques of digital and physical modeling to create digitally based sculptural works. His work speculates on the imminent, drawing on science fiction narratives and past eras' visions of the future. His intricate laser-cut Plexiglas forms explore themes linked to technophilia and technophobia, how we understand and relate to emerging artificial intelligences, and how we maintain a sense of normalcy in the face of rapid technological change. 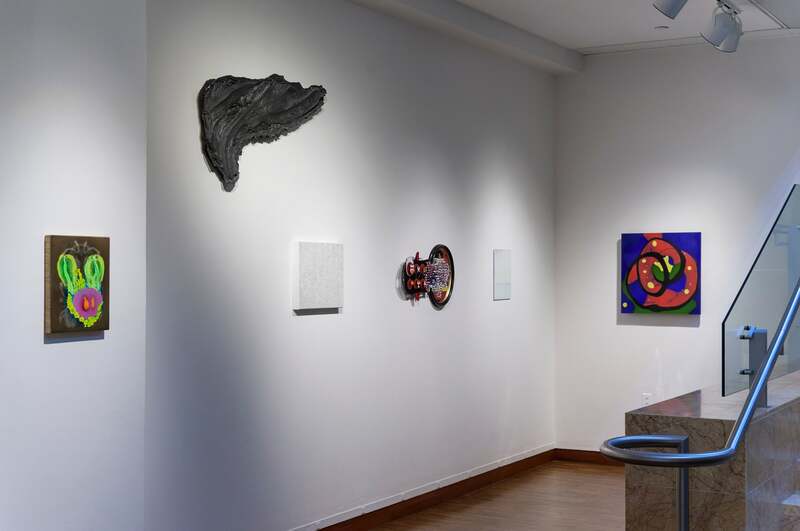 Susan Byrnes is a visual artist whose work encompasses traditional and contemporary forms and practices, including sculpture, multimedia installation, radio broadcasts, writing, and curatorial projects. 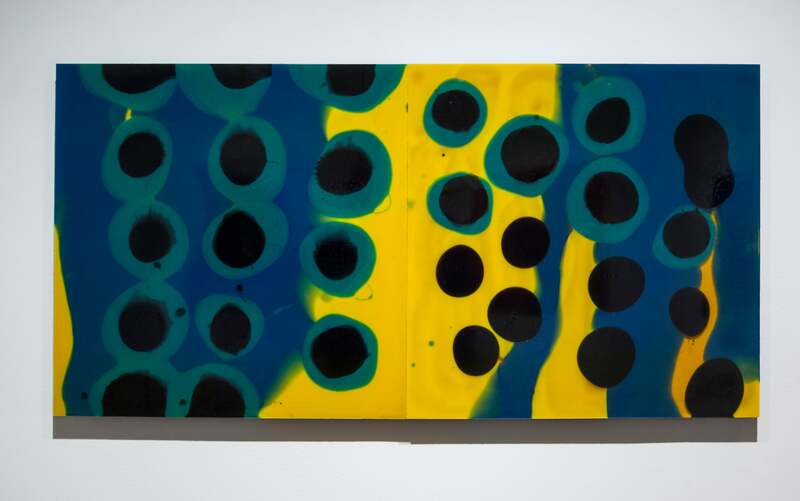 In her ongoing Viscosity Series, she makes abstract drawings from cast polyurethane rubber made by pouring pigmented layers of viscous liquid into a shallow, flat mold. The rubber’s curing time leaves a very small window for manipulation, and dictates in part the forms rendered with the final outcome an inevitable contest between intention and accident, precision and spontaneity, the calculated and the unpredictable. Matt Coors serves as an adjunct instructor and the Exhibitions Coordinator at the Art Academy of Cincinnati. Since moving back to Cincinnati in 2014, he has been designing repeating geometric patterns. 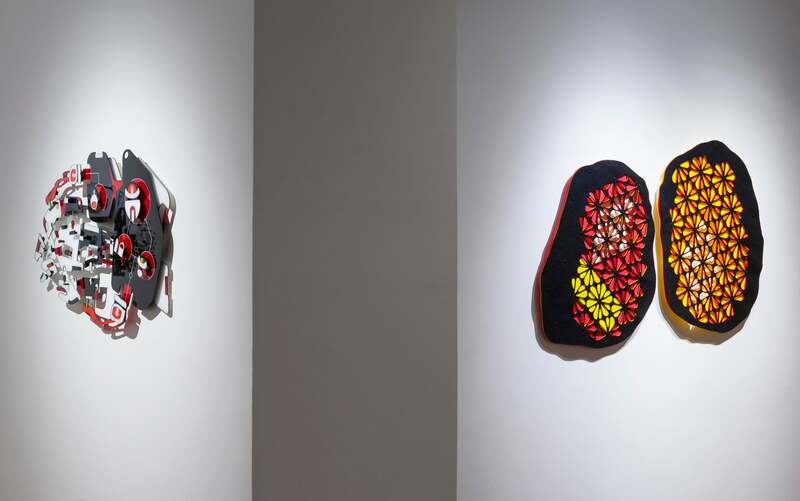 His recent work extends the use of such patterns by fashioning them as an overall framework by combining multiple layers of colored laser-cut synthetic felt fastened together with a series of nylon snaps. This combination of overlapping positive and negative space creates rhythmic juxtapositions of shape and color as well as intricate shadow play on the wall beneath. 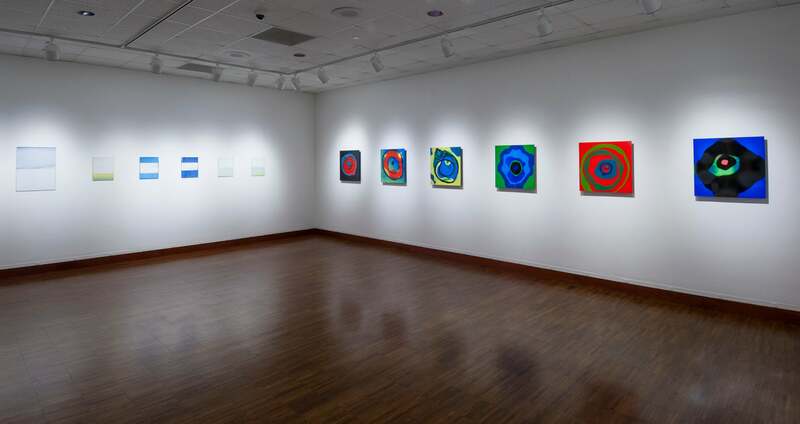 Jeffrey Cortland Jones is a painter, curator, and professor who currently serves as Professor of Art at the University of Dayton, Dayton, OH, where he leads the painting program. His meticulously executed spray enamel paintings on Plexiglas subtly manipulate the two-dimensional surface with overlapping rectilinear planes contrasted by painterly splashes and drips that populate the edges. Marc Leone is Associate Professor of Art at Northern Kentucky University. 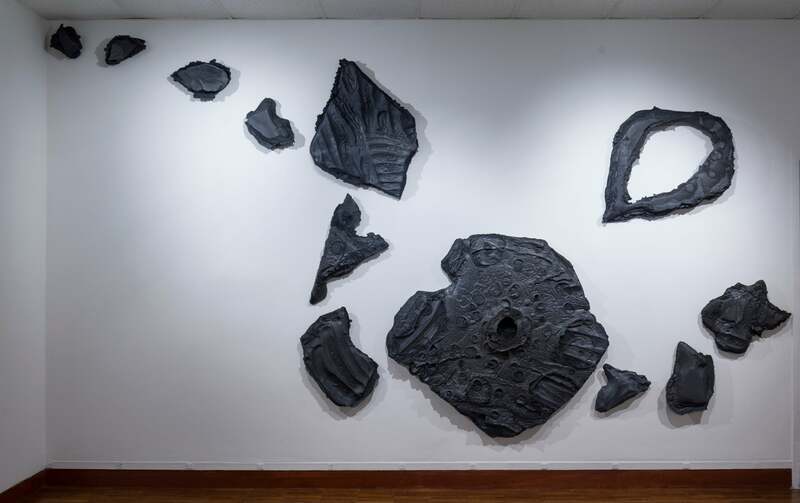 His ongoing Carbon and Crust series of labor intensive and physically manipulated topographical reliefs explores geologic sources as metaphors and symbols within interdisciplinary formal directions combining painting, drawing, and sculptural techniques. Through layering and unearthing layers, he paints and constructs “crustal layers,” upon which to thrust mark making utilizing elemental carbon and mineral graphite at each layer to strengthen the connection to geologic origins. He often uses power tools to erode, cut, dig, buff, sand, and pock the surface and sub-surface paint in ways that are reminiscent of natural, man-made, and archaeological processes. His new multi-component wall installation Archipelago incorporates the use of extruded polystyrene for the first time as a substrate. 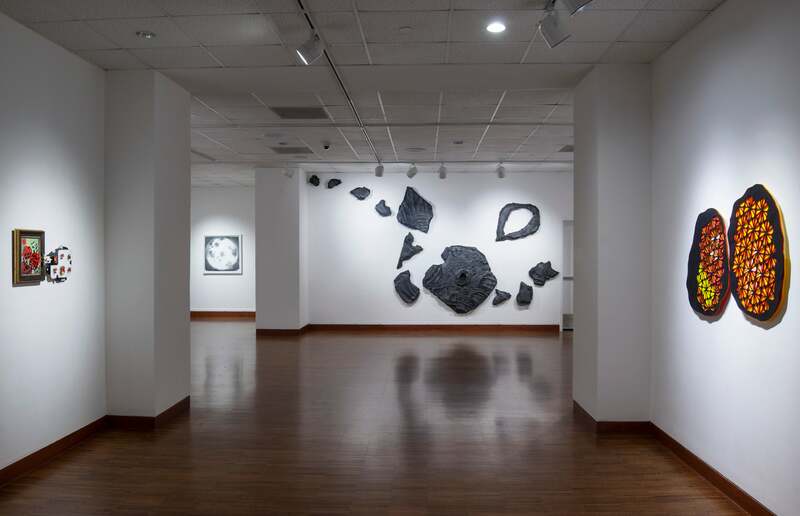 Combining such varied materials as brick and coal dust, volcanic ash, spray paint, and resin, Elder High School and Cincinnati Art Academy alumnus Tim McMichael’s imagery and materials reflect an investigation of the fluid and temporal nature of contemporary social, political, and environmental issues. 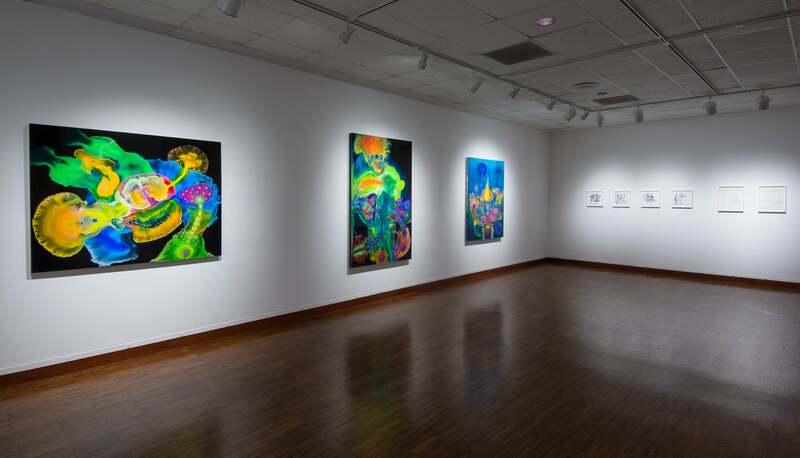 Cincinnati native and Chicago-based artist Bruce Riley’s biomorphic paintings combine paint and resin in a spirited investigation of spontaneity and experimentation resulting in wondrous abstract works. 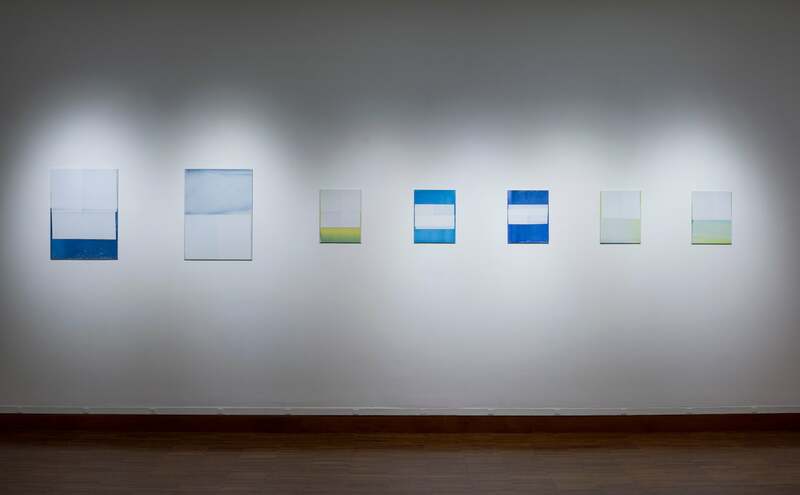 His exquisite “pooling” of paint into wet resin and meticulous layering of pigment over multiple translucent layers that act as colored lenses to filter light and reflect it back suggest primordial worlds or distant galaxies yet fully formed. 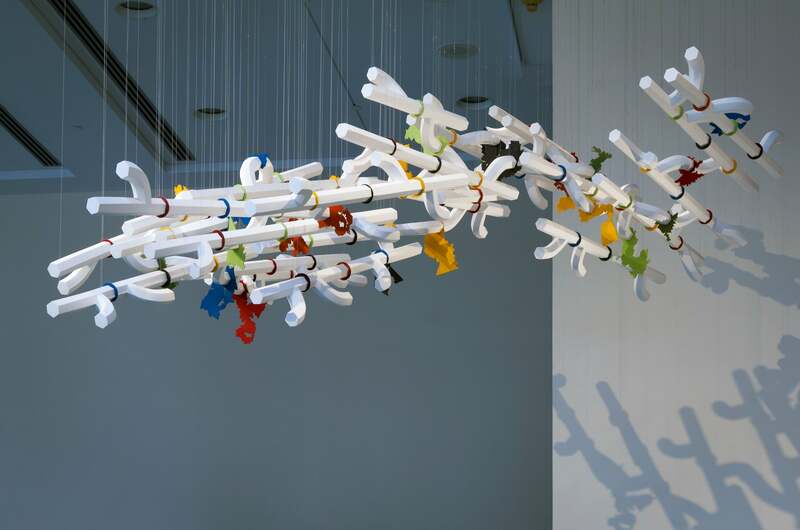 By utilizing dichotomous materials Paige Williams, Academic Dean at the Art Academy of Cincinnati, explores contradictory extremes such as perfect/flawed, vulnerable/resilient, and constant/irregular in her work. 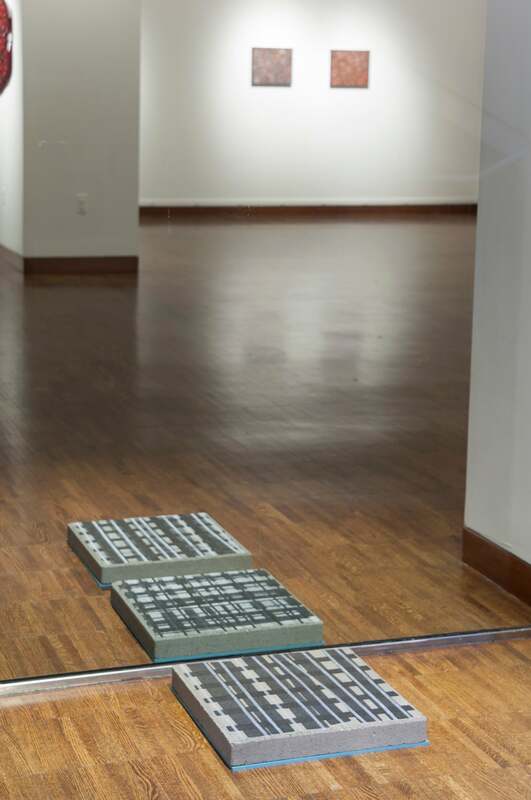 Incorporating varied materials such as ink, oil paint, and duct tape applied to Dura-Lar, polypropylene, and concrete, Williams employs the grid, though varied in form, as a recognizable constant throughout, attempting to embrace and perhaps even celebrate a deviation from systems and precision.